Best Truck Battery Reviews: Top 6 in April 2019! Best Truck Battery: 2019’s Top-Rated List for Your Convenience! What is it about that chunk of plastic and metal that makes people revere and also disregard the common vehicle battery? There is a latent fear when approaching a car battery, and there is also a lot of ignorance around its application and management. There are many battery manufacturers providing a lot of misleading information, such as a maintenance free battery. What is a maintenance free battery? Does it mean you can buy it, place it and leave it till it dies? Then we add to this question more questions, such as what kind of battery does my car need? What does group size mean on a battery? Now you start to get a picture of how the battery fits into the cars eco-system and how we need to define what is the best car battery. To start off with, there is no best. There are different levels of power and life that batteries provide, and there are better and worse products. Choosing a good car battery requires you understand in what power system your vehicle is classified, and then find the “best” solution within your budget for your vehicle. Take into account the longest ;lasting battery is always a great choice, but it will only last long if you manage it correctly. To answer the question about maintenance free, all this means is that the battery is sealed from adding liquids, and in some instances can be a solid-state battery (rare) which means that you place it, and only charge it from time to time until its shelf life expires. Even these batteries require maintenance, including preparations for extreme weather conditions and in most cases, can be refilled. 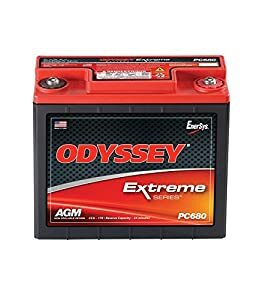 Now for the crunch: Batteries have two sole purposes, the first is to deliver amperage (power) to the vehicle for operating its electronic systems, and the second purpose is to reduce the reliance on the alternator, providing power for extreme weather conditions (cold or hot start). The lifespan and maintenance issues of the battery are what makes it either better or worse in comparison to its competitors. At the bottom of this guide is a Battery 101 review including a list of battery categories. 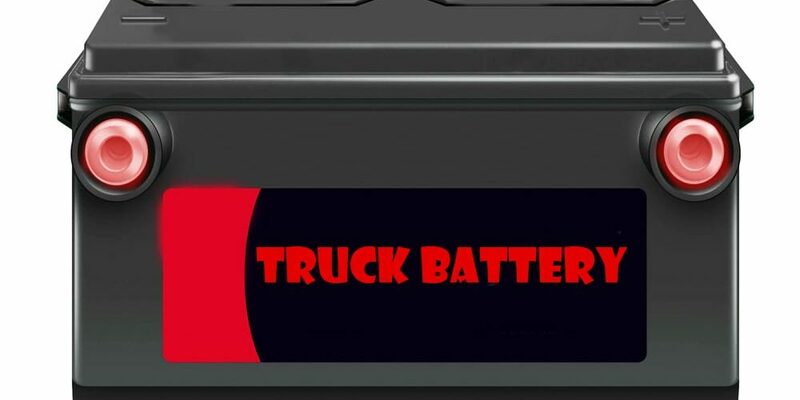 Here are my top ten truck batteries that you should choose for your vehicle. 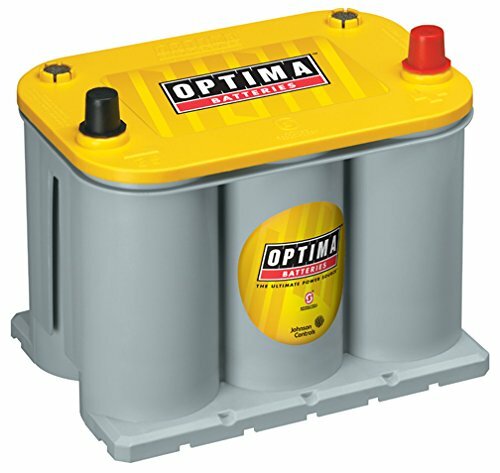 Optima is a leading brand and manufacturer of The YELLOWTOP 8040-218 Absorbed Glass Mat (AGM) battery. These batteries are reputed for their excellent cranking power of 770amps, and their good cycling capability. The low internal resistance enables this unit to constantly give a power output while recharging faster than conventional models. This model is classed 35. The REDTOP OPT8020 is an Absorbed Glass Mat (AGM) from Optima. It is a 35-class battery that provides 720amps of power in its cold cranking amps (CCA), after which it produces 910amps of cranking power (CA). This impressive model is a leader in strength and reliability and is long lasting too. 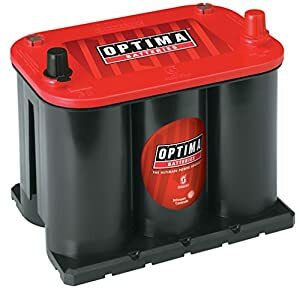 This is another Optima battery; this is their 34/78 class REDTOP 8004-003 AGM battery. This is a beast of a battery and delivers a powerful CCA of 800 amps and a continuous cranking power of 1,000 amps. 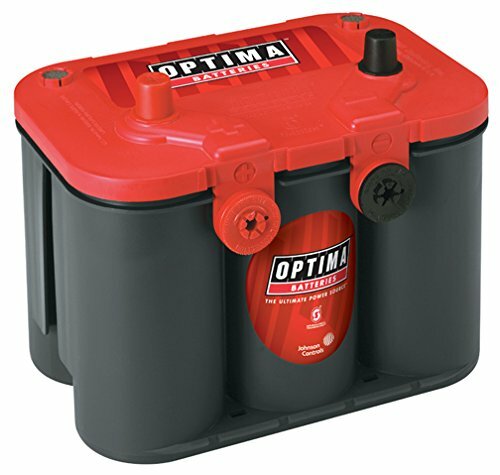 Since its an Optima model you already know you get a clean long lasting and virtually hands-free battery to play with. 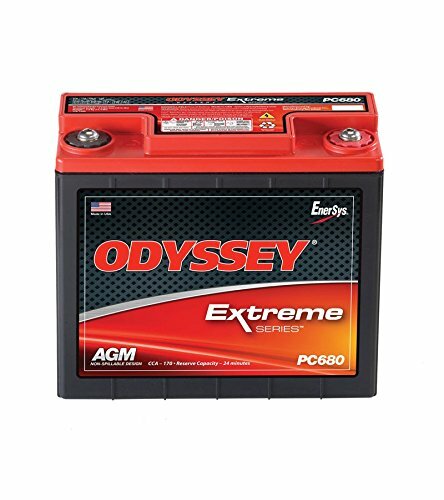 The ODYSSEY Extreme Series Battery Model PC680 is a small Absorbed Glass Mat (AGM) and is extremely versatile. This battery has many applications and also comes with M6 Receptacle or an SAE 3/8” Receptacle for full adaptability. 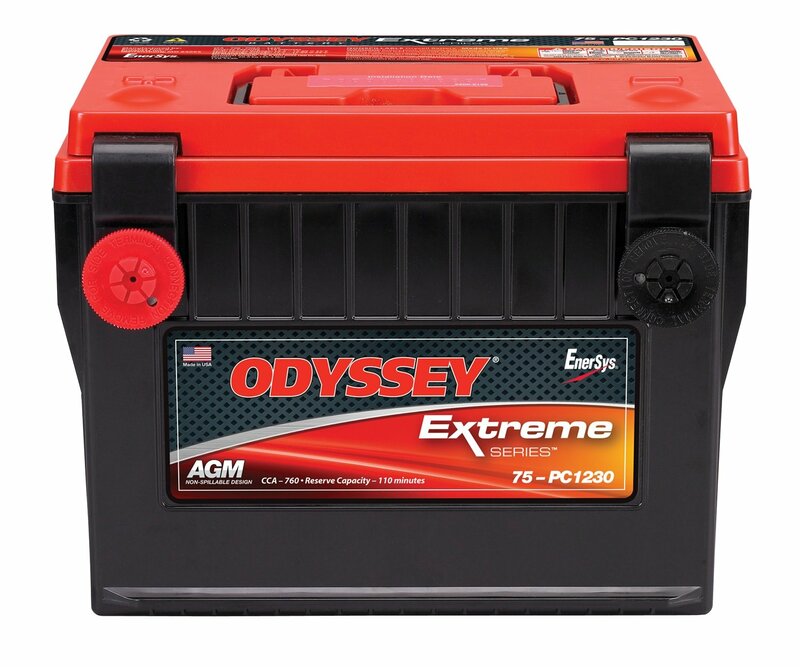 This battery is well suited for power sports application and light trucks. It can also perform well in adverse atmospheres, ranging from vacuum to 2 atmospheres (29.4 PSI), and its CCA works even in adverse conditions such as -40°C. 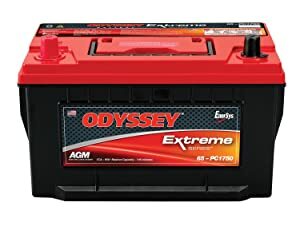 The ODYSSEY Extreme Series Battery Model 75-PC1230 is a group 75 battery, and it is designed for both adverse and common driving conditions. This unit comes with 3/8” threads and is a beast of a battery designed for heavy applications. Its nominal cranking output is a massive 1,230 amperes, and it has an impressive cold cranking start of 760 amps. This is another great battery from ODYSSEY; this is there Extreme Series Battery Model 65-PC1750T a group 65 battery. This is the large battery for a large truck or for heavy duty operation. It has a CCA of 950 amps and a CCA of a whopping 1,750 amps. This is the one for all those pimped up rides that have massive music centers instead of back seats. Check Under the Hood: Look at what you have now, and then you will know the class size you need as well as the connector positions. Not all batteries in the same class have connectors in the same place. Battery test frequency: I always suggest an annual test at your usual checkup and test it before you decide to replace it. It is possible that you only need a battery recharge and not a total replacement. In cold climates, you only need to test once every 4 years, but in hot climates, once every 2 years is a must. Do not buy a bigger or stronger battery class; it does not meet your needs. Also, do not buy a weaker one. Buy the class your car is designed for. If you pimp up your ride, then consider a bigger battery only with the recommendation of a professional car electrician. Always check reviews for the better battery performers and do not buy the most expensive brand, pick your battery based on your actual needs. Check the CCA. CCA stands for cold crank amps; this is the initial starting power your battery can provide when you start the engine. Make sure its high enough and then check the running amps, CA, which is the overall output while driving. Take note that the battery you buy is new, look at the production date and work out this shelf time. Ask for a return on your old battery, they can be recycled, and this means money for the battery shop owner. Don’t fall for the “I will take it off your hands because of its dangerous b.s.) get paid for it. Finally, look for battery state, don’t get fooled by nice shiny batteries, they can be cleaned up to look new. Check the content is full and that it was used in a vehicle, not a marine application or on a pimped-up ride that ate up the batteries life with its massive music power appetite. There are two battery types (Actually three, but the third one is a solid-state battery that is very rare to find). The two types are Lead-Acid regular and Absorbed Glass Mat (AGM). What is termed now maintenance free means that you don’t need to carry a bottle of distilled water around to top off the emptying liquid in the battery? These batteries were once glass, and are now polycarbonate (plastics) that hold lead sheets with acid to activate them. The acid is flooded in cells and today only needs a top up occasionally. These are the cheaper batteries and does not usually tolerate deep discharges. AGMs are more expensive than lead-acid batteries and cost up to double the amount. However, they are becoming the standard in today’s industry due to their design. They have sealed cells rather than open ones, which prevents leakage, unlike the lead-acid types that can leak. They can also handle a deep discharge and will recharge to full operation mode quite quickly. They are also more powerful and can be used for heavy-duty work and pimped up rides. Batteries come ins a standardized size format; these sizes are made to match specific vehicles for both the power and the dimensions of the placement. In other words, car batteries have to fit your car as well as give you enough power. 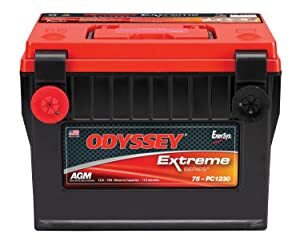 When buying a battery, if you get the wrong class, it doesn’t just mean you cannot connect it properly, it means you don’t get the right power output, which could burn your system. Size 24/24F (Top Terminal): for most Japanese cars. Size 34/78 (Dual Terminal): for large Chrysler and 1996-2000 GM pickups, SUVs, including mid-sized and large sedans. Size 35 (Top Terminal): for most Japanese cars. Size 48 (H6) (Top Terminal): for most European and American vehicles. Size 49 (H8) (Top Terminal): for many European and Asian vehicles. Size 51R (Top Terminal): for most Japanese vehicles. Size 65 (Top Terminal): for large American cars, trucks and sport-utility vehicles. Size 75 (Side Terminal): for some General Motors/Chrysler mid-sized and compact cars. Notice that car categories are vehicle specific, this is due to the dimensions of the battery and their battery holding cages in the cars.